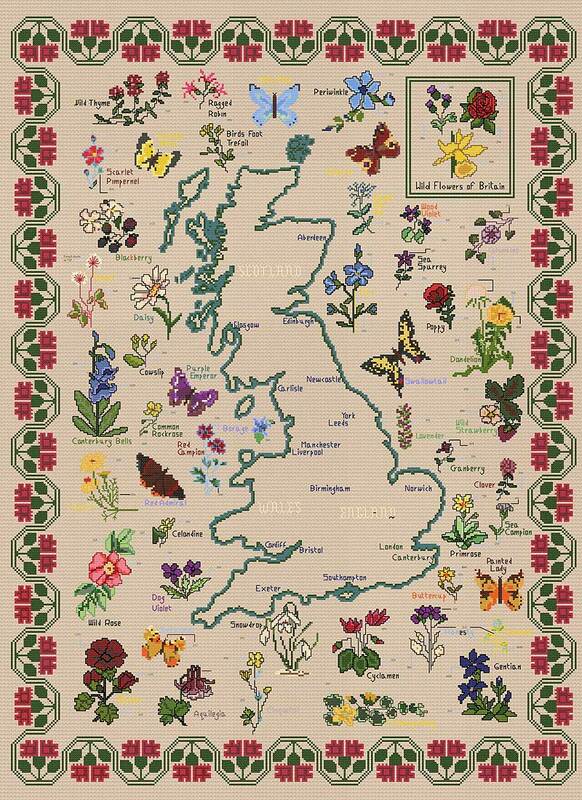 A lovely big project - the design is worked in pure cross stitch with backstitch detail. The carnation border is worked in just cross stitch with the flowers embellishing the sampler embellished with backstitch as necessary. I suggest all the backstitch writing is worked in dark grey with the remaining outlines worked in the darker shade within each motif.